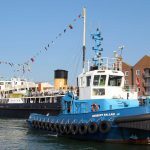 The south coast Port of Poole lies within Europe’s largest natural harbour and is approached through a narrow, winding shipping channel with a maintained depth of 7.5m therefore limiting the size of vessel that can call. 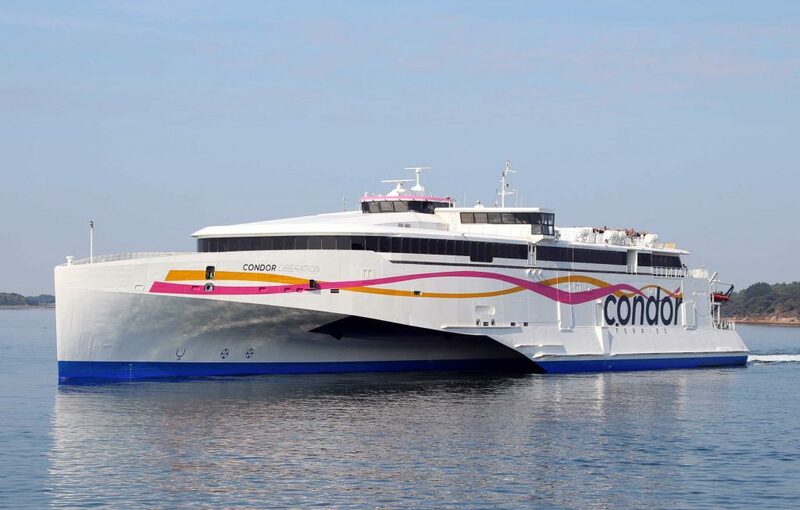 A trust port run by Poole Harbour Commissioners (PHC), there are regular ferry links to the Channel Islands, France and Northern Spain. 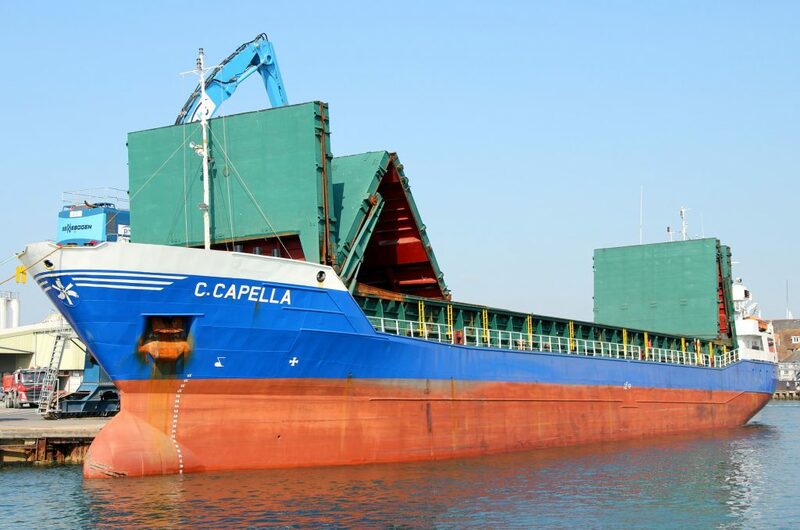 Bulk cargoes handled include timber, steel, aggregates, clay and grain as well as containerised goods. 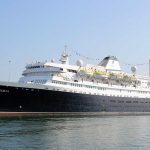 Until recently Poole relied on smaller up-market cruise ships such as the 98-passenger Corinthian and the 72-passenger Variety Voyager. During October 2016 PHC started work on the new £10m South Quay to attract ships up to 220m in length, the maximum that can transit the harbour. 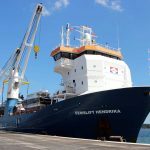 This new berth became operational during February 2018 and as well as cruise and general cargo ships, South Quay also caters for a growing demand for luxury yacht import and exports by heavy lift vessels, particularly from Poole-based boat builder Sunseeker. 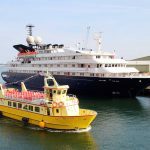 In 2017 Poole handled 10 cruise ship calls, with 27 booked for 2018 but the aim is for 50 visits annually. 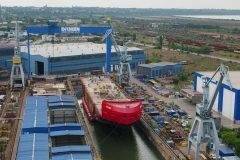 A new operator for 2018 is Cruise & Maritime Voyages (CMV) who brought their 160m, 550-passenger Astoria to Poole for a maiden call on 31 August as the largest cruise ship to have ever berthed at the port, with further visits planned for 2019. 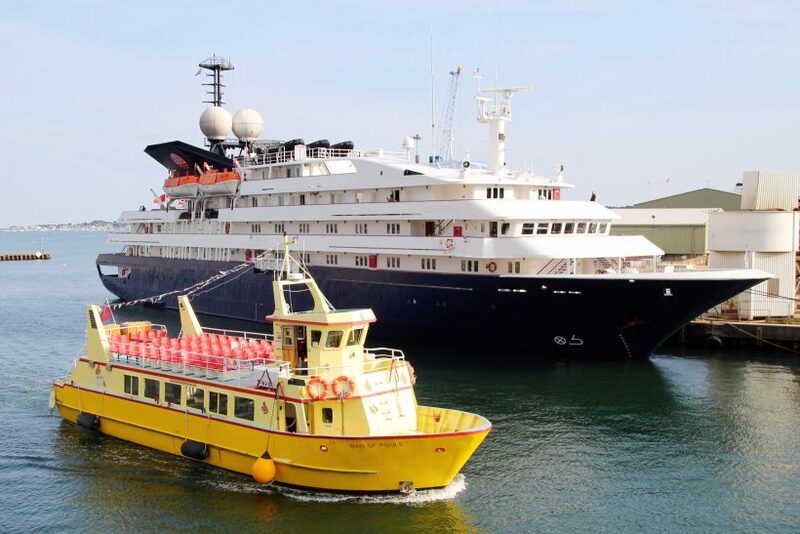 Both Ponant and Saga Cruises have confirmed Poole as a new departure port for 2019/2020, with PHC also in discussion with other companies. 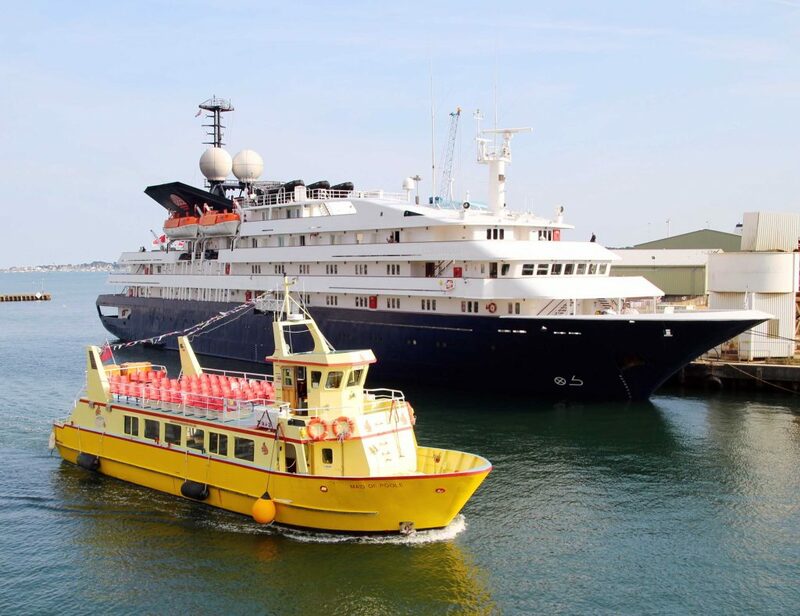 French luxury operator Ponant is reportedly bringing one of their newbuild expedition ships and has stated it has chosen Poole due to its unspoilt location and the opportunity to call where the larger cruise ships are not, which is a good summary of the benefits of this Dorset port. 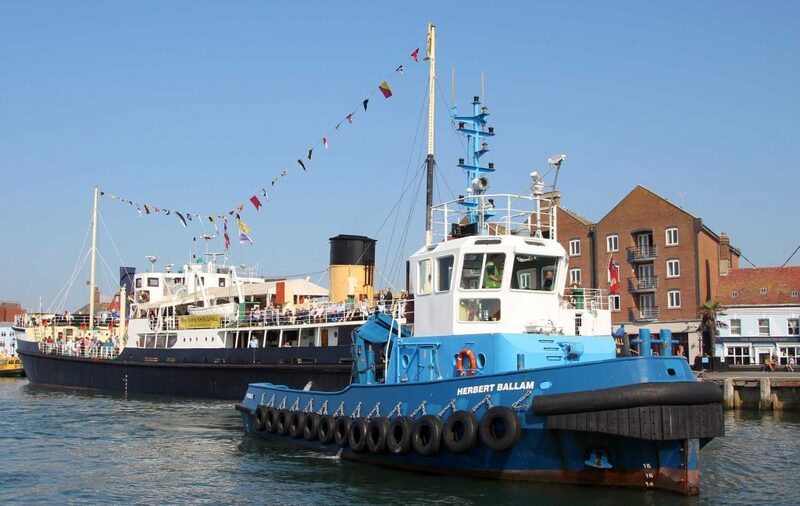 One of the busiest days at the Port of Poole for many years was 3 September 2018, Merchant Navy Day, which for the first time ever saw two cruise ships in port together. The first arrival was Corinthian (1990/4,077gt) to Ballast Quay from the Isles of Scilly. Outbound movements then consisted of the cross-channel ferry Barfleur (1992/20,133gt) from ro-ro berth 3 to Cherbourg, the steamship Shieldhall (1955/1,753gt) from Town Quay heading for Southampton followed by Condor Liberation (2010/6,307gt) from ro-ro berth 2 to the Channel Islands. Soon afterwards Astoria (1948/16,144gt) made her second call at South Quay at the end of a Northern France cruise, followed by the freight ferry MN Pelican (1999/12,076gt) from Bilbao to ro-ro berth 3. 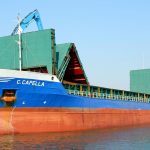 Already in port were the general cargo ships Valiant (1993/1,516gt) loading containers at New Quay and C. Capella (1994/2,446gt) loading clay at Bulwark Quay, with two more Edzard Cirksena (2008/2,451gt) and Lady Anne-Lynn (2016/2,544gt) at the Poole Bay anchorage waiting for berths to become available to discharge roadstone and barley. 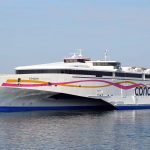 MN Pelican, Corinthian and Astoria sailed late afternoon, then Condor Liberation and Barfleur returned to port during the evening. 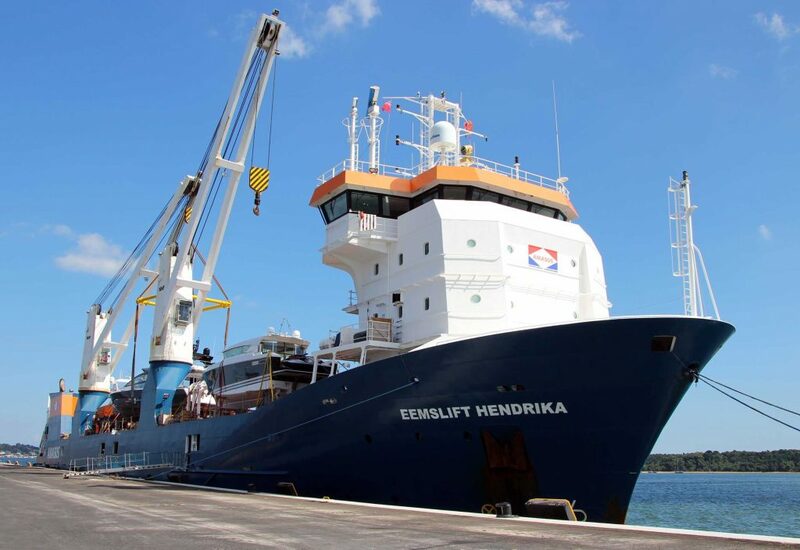 The PHC port tug Herbert Ballam was kept busy with six movements to handle inbound and outbound shipping. 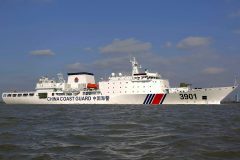 The total number of passengers transiting the port was around 3,500. The world’s second oldest operational ocean-going passenger ship, Astoria has a fascinating history. Built in Gothenburg as the Stockholm she entered service for Swedish American Line in 1948 as the smallest passenger liner on the North Atlantic run. On the night of 25 July 1956 Stockholm was outward bound from New York on her 103rd eastbound crossing when she collided with Italian Line’s Andrea Doria in thick fog off Nantucket, sending the much larger and relatively new Italian ship to the bottom of the North Atlantic with loss of life. Although Stockholm’s bow was heavily damaged, she remained afloat and returned to New York under her own power. Repaired and returned to service, in the mid 1990s she was totally rebuilt from the hull upwards and re-engined, retaining her riveted steel hull but acquiring a large ducktail sponson for added stability. 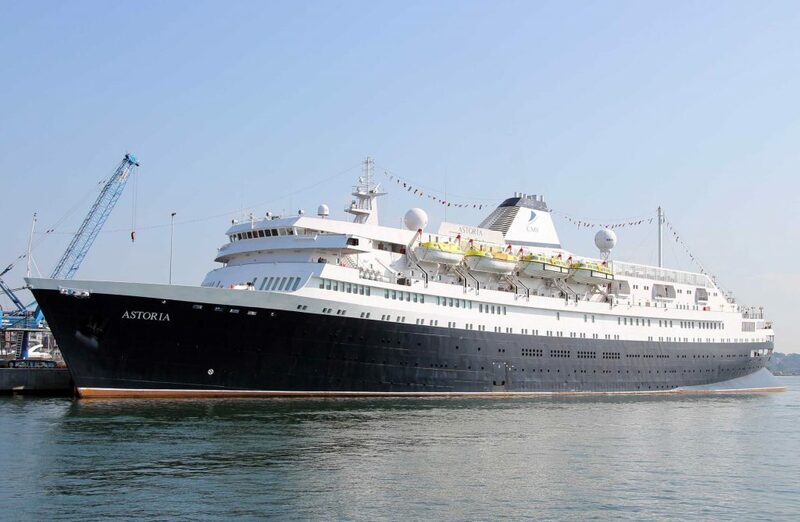 More recently sailing under a variety of names including Athena and Azores, in 2016 she joined the fleet of Cruise & Maritime Voyages as Astoria for the UK market and will sail with them until at least 2019. The original ship’s bell from the Stockholm is displayed on Astoria, having become entangled with the Andrea Doria during the collision and sinking with her. Since salvaged, it has been on loan to the ship since 2015.